When you use our website certain information about your online activity is collected. We use this information to determine our website users’ preferences, to design initiatives to meet those preferences, to eliminate online hassles, and to generally make your online Landry's Select Club® experience more satisfying. Very infrequently, we may initiate a program, service or survey that requests your name, birthday, e-mail address, city of residence, zip code, or information about what you like and do not like about the Landry's Select Club® program. We recognize that the loyalty of our customers depends upon our relationships with them and we strongly support the rights of customers to maintain privacy of personal data. Like you, we have children of our own and are concerned about their safety when they use the Internet. We want you and your family to be safe while visiting our website. That is why, consistent with the Federal Children's Online Privacy Protection act of 1998 (COPPA), personally identifiable information from children, we have no intention of collection of any personally identifiable information from individuals under 13 years of age. If a child under 13 years of age has provided us with personally identifiable information, a parent or guardian of that child can contact us at the e-mail address or phone number listed in the Contact Us section of the website if they would like this information deleted from our records. We will use reasonable efforts to delete the child’s information from our existing records. For more information about protecting the privacy and safety of minors online, we recommend you visit http://www.ftc.gov/ogc/coppa1.htm. We use the information that we collect to understand your preferences and history using our website and related services. With this information we make it easier and more rewarding for you to use our website, any related services, and enjoy your guest experience at our restaurants and venues. Our ability to provide enhanced services may occasionally depend on our ability to develop summary reports for our advertising agents that contain raw numbers or statistics (but never tell them who it was that stated a preference or clicked on an option). It is our policy to never send messages to website users unless they request that we do so. 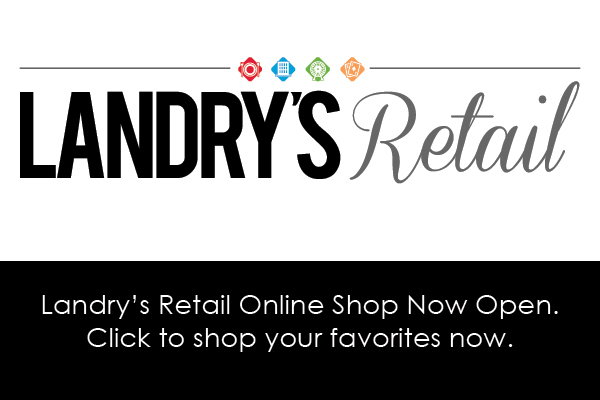 The information that you provide is collected by Landry’s, Inc. (“Landry’s”) our parent company. 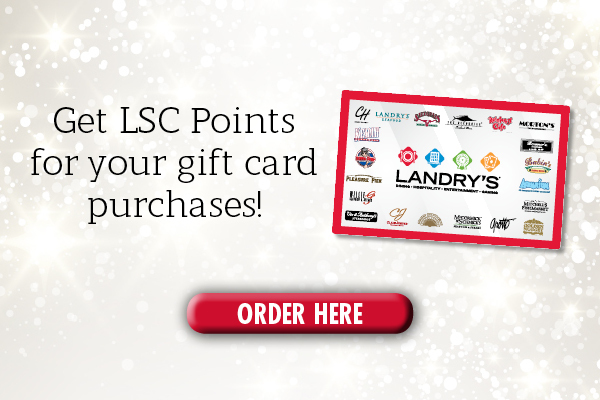 In the case of links to our gift card and guest recognition sites, the information you voluntarily provide at those sites will only be shared with those service vendors who help Landry’s administer its websites and the services they provide. In any case, Landry’s is the lawful “owner” of the information and each of these vendors may use the information only for the purpose of administering the website and its services for Landry’s and will take all necessary precautions to protect the information. Ownership of any information you provide us will be held solely by Landry’s. We will not sell ownership of this data to any other company or organization. We will not transfer information to competitors. Your information will always be used only to help us ensure that our website and any related services meet your expectations. At Landry’s, your personal information is safe. We don't give, share, sell, or lend your information. It is our strict policy not to share your personal information or preferences with any third party, except as is necessary to operate and improve our website, or to provide any service requested by you on our website. Although unlikely, we may be required by law enforcement or judicial authorities to provide personally identifiable information to the appropriate governmental authorities. If requested as part of a legal proceeding, we will provide this information upon receipt of the appropriate documentation. Under the Company's Control We operate secure data networks protected by industry standard firewall and password protection systems. Our security and privacy policies are periodically reviewed and enhanced as necessary and only authorized individuals have access to the information provided by our customers. Any particularly sensitive information, such as a customer's credit card number, is encrypted prior to transmission.